Samsung is also gunning its Galaxy J series for the selfie market! The new Galaxy J7 and Galaxy J5 are the stars in this line. Check them out. 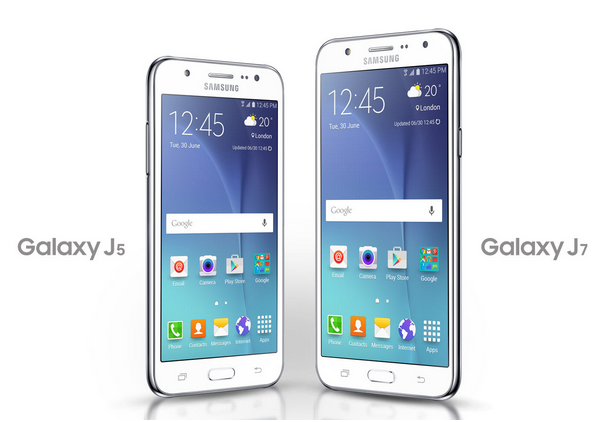 Samsung is marketing its Galaxy J series for the young and selfie lovers. Having Philippines as the selfie capital of the world, both local and international smartphone companies are banking on this feature, and Samsung is not an exception with its Galaxy J Series. The Samsung Galaxy J Series simplifies the entire process of taking a selfie and sorts out all your angling, lighting, framing and filter issues, essentially upgrading the selfie to a "J-fie." Built with the trusted quality and performance that Samsung is known for, the latest additions to this particular series—the 5.0” Galaxy J5 and 5.5” Galaxy J7—are designed to snap the perfect J-fie, even in the most unflattering conditions. Want to capture that perfect J-fie at your favourite concert? Don’t worry! With its front-facing LED flash, you get to make sure your J-fie isn’t all shadows and silhouettes while your favourite band plays in the background. Feeling the need to capture the moment but you feel like you have pulled off an all-nighter? Not a problem, it also has a built in Beauty Face function to automatically smoothen your skin. Trying to capture a group photo? With its Wide Selfie, it has been made easier to make the whole gang fit in one photo! And for those all-too-often moments where you have the right lighting, angle and framing that gets ruined because your fingers can’t reach the camera button? Try the Samsung Galaxy J-series’ Palm Selfie that starts a counter to snap the photo simply by flashing an open palm in front of the camera. The Samsung Galaxy J Series make it so easy to capture almost any moment in a perfect J-fie for sharing on social media. You don’t have to take our word for it, go to the Samsung Experience Stores or your nearest Samsung Authorized Dealer to check it out yourself. Snap a J-fie and all you have to do is wait for the likes to start rolling in as soon as you post it!